Escape From New York: What Does Furniture Say About A Culture? What Does Furniture Say About A Culture? What does the furniture of a country say about its culture? 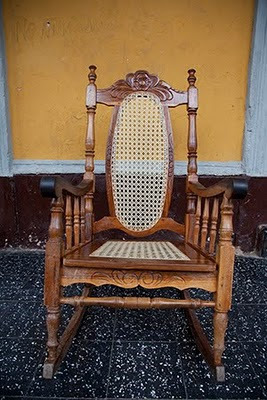 Throughout Nicaragua you’ll see beautifully hand carved rocking chairs and colorful hammocks. The rocking chairs are symbolic of community spirit. In the evenings people pull them outside of their homes to sit, rock and watch the world go by instead of retreating behind a closed door once the sun goes down. Peering into the drawing rooms of what are deceivingly small from the outside colonial buildings it wasn’t unusual to see anywhere from 6-12 rocking chairs in a circle instead of facing a television. With a tropical climate hammocks are ideal for laying low during the hottest part of the day. 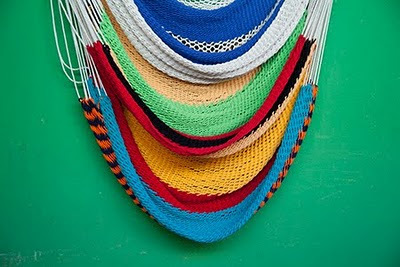 Nicaragua is well known for the quality of its handmade hammocks. What does the furniture of your country say about its culture? Hammock picture is quite colorful with a perfect background. I agree with Lakshmi, in India too we have carved furnitures made of good wood. Wishing you a very Happy Holiday season, Wendy! Lakshmi and Nisha, I love the antique pieces in India. Every time I'm there I want to ship some home. Don't have the space though. Catherine, Thank you and wishing you the best in 2010.